of Londoners are from BME backgrounds, compared to 10% in the rest of England. black pupils are least likely to achieve A*-C in English and Maths GCSEs, followed by pupils of White and Mixed Ethnicities (34%). of London employees of Bangladeshi and Pakistani ethnicity are paid below the London Living Wage, double the rate for White British employees. 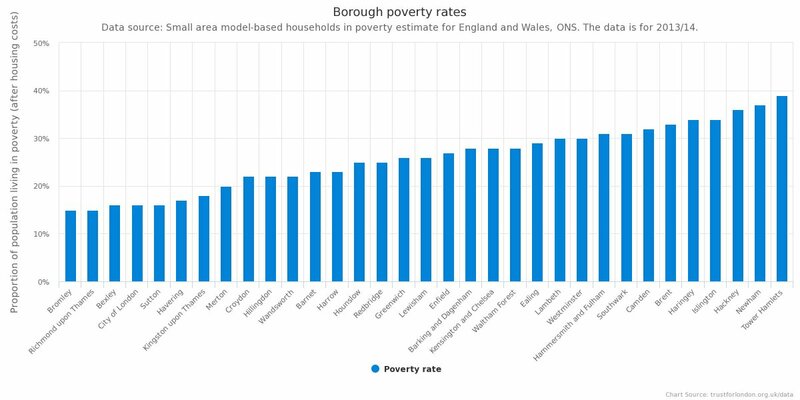 Although the poverty rate is not broken down by ethnicity, the available data on this site shows that issues of poverty and inequality particularly affect Londoners from ethnic minority backgrounds. The rates of low pay and worklessness for Pakistani/Bangladeshi people in London are both 46% - the highest rates of people from any ethnic background. Black Londoners are the most likely to be in insecure employment, whereas the risk for Londoners of Chinese, Indian, White and Bangladeshi ethnicity are relatively low. The rate of overcrowding is also much higher for Ethnic Minorities as a whole (13%) than White British people (5%). The only measure where White British Londoners have worse outcomes is education. 86% of Chinese students have a C or above in English and Maths – by far the best of any ethnic background. Asian students are the next best at 74%, and then students from White and mixed backgrounds – with 66%. London students outperform students in the Rest of England on this measure for all ethnicities. 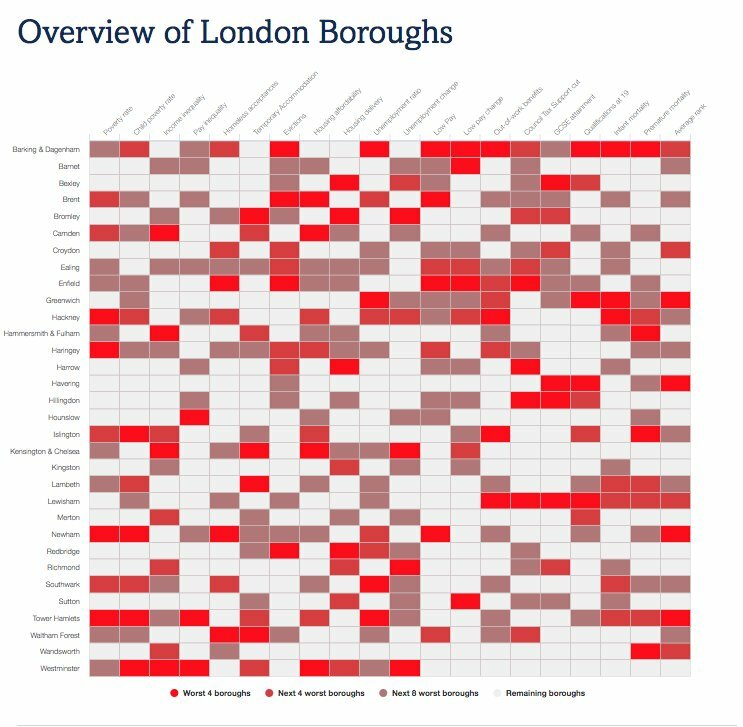 You may also be interested in the data available for migrant Londoners.